If you need to change any of your account information, such as your name or password, navigate to the My Account page: Click on your Name in the header bar. Then, click the My Account link shown in the dropdown menu. You can change your first name, last name, and zip code on this page: just type the updated information into the available textboxes and click the Save changes button. 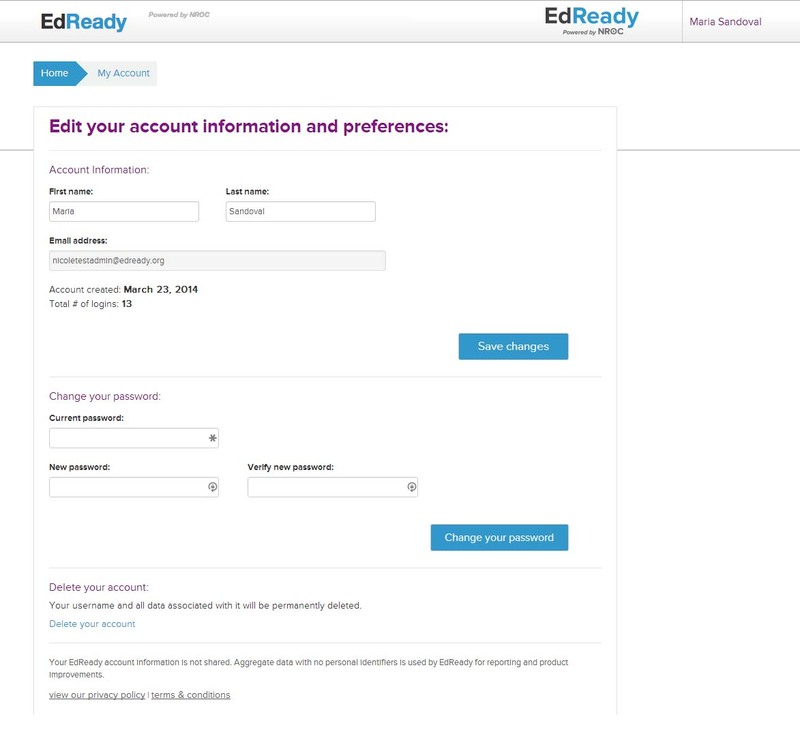 Note that your email address (also your EdReady username) cannot be changed.